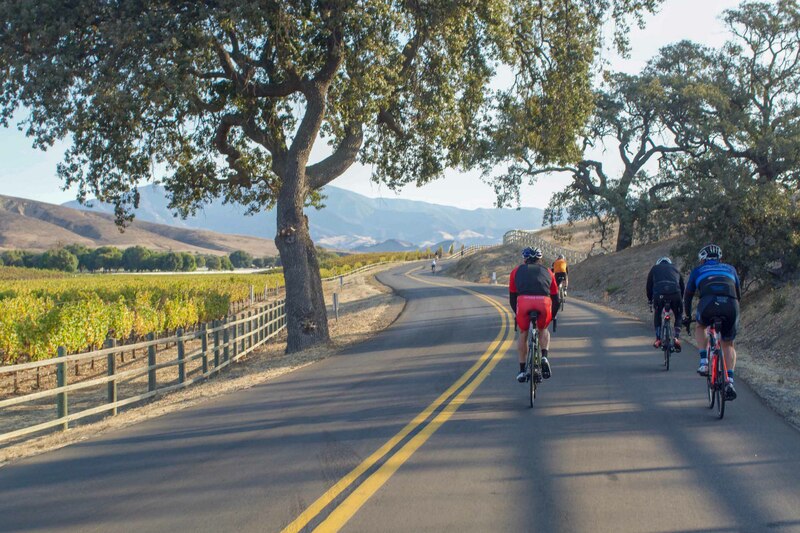 Morning is just breaking over Southern California’s Santa Ynez Mountains as a stream of cars with bikes in tow enters a vineyard bathed in golden light. 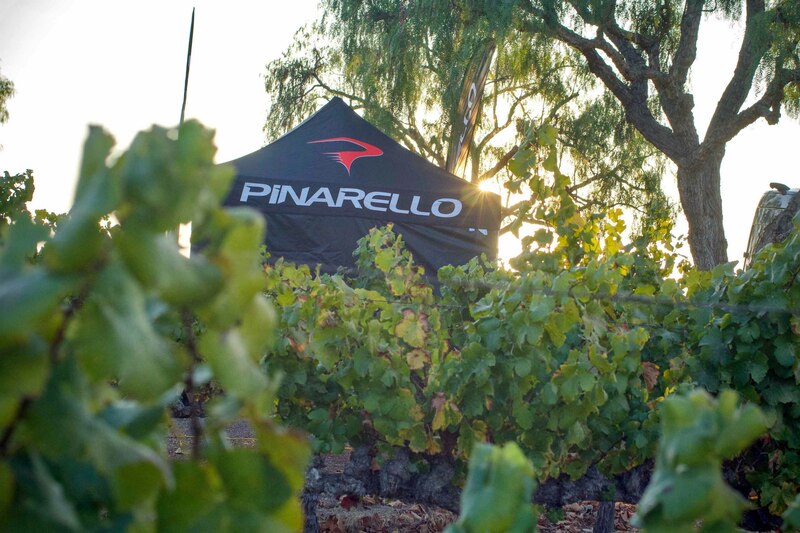 We’re in Santa Ynez, California, at the Figueroa Mountain Gran Fondo (a.k.a. 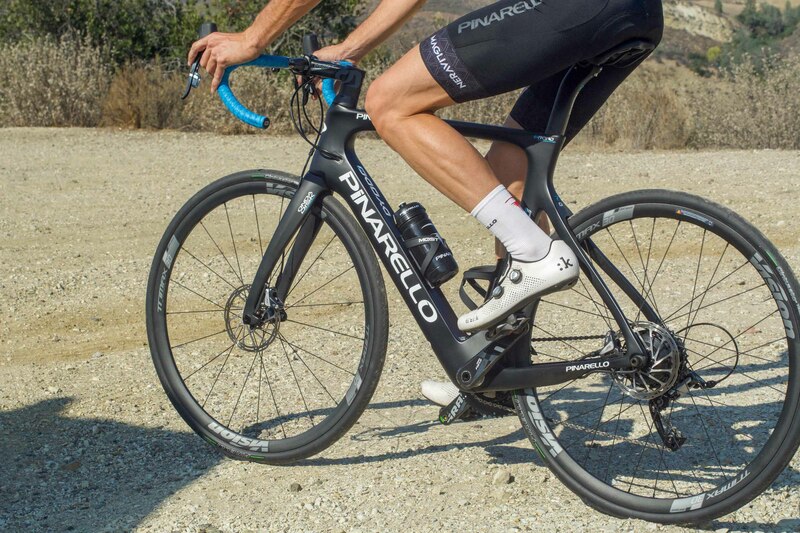 the Fig Fondo), to enjoy some riding and learn a bit more about Pinarello’s latest e-bike, the Dyodo. 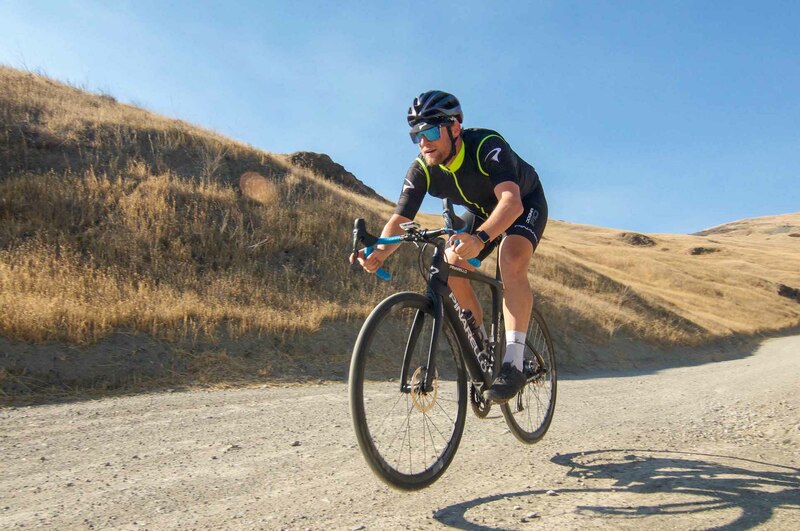 Gran Fondos, at their most basic, are a celebration of the fun and camaraderie of cycling, making this a perfect opportunity to check out a new bike that aims to bring more enjoyment to the sport. 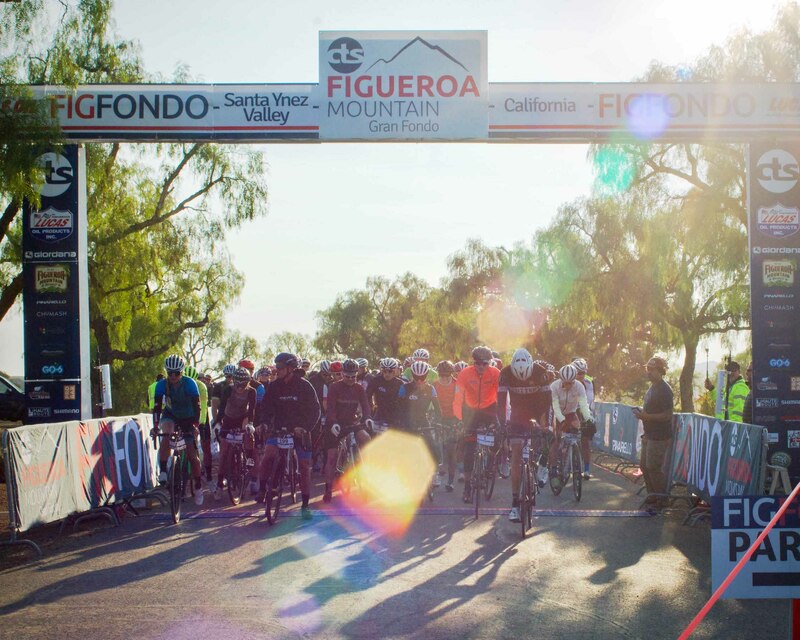 Now in its second year, the Fig Fondo showcases the scenic terrain 30 miles northwest of Santa Barbara. It’s amazing how quickly you can leave civilization and cell-phone coverage behind and find quiet roads with mile after mile of farmland and gently rolling hills. Areas like this remind us why we ride. 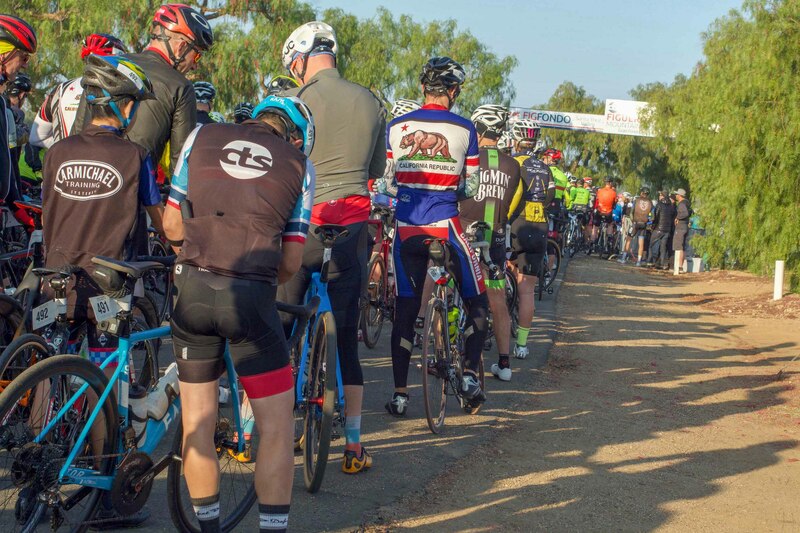 In a field-turned-parking lot, cyclists of all ages prepare for an epic day of riding. Many, trying to stay warm in their cars, are no doubt questioning why they got out of bed so early to face this brisk November morning. But smoke and steam rising from a griddle full of sausages and pancakes soon beckons them outside. At 8 a.m., it’s roll-out time for an 800-strong peloton bristling with excitement, led by several current and former pros, including local hero Tejay van Garderen. 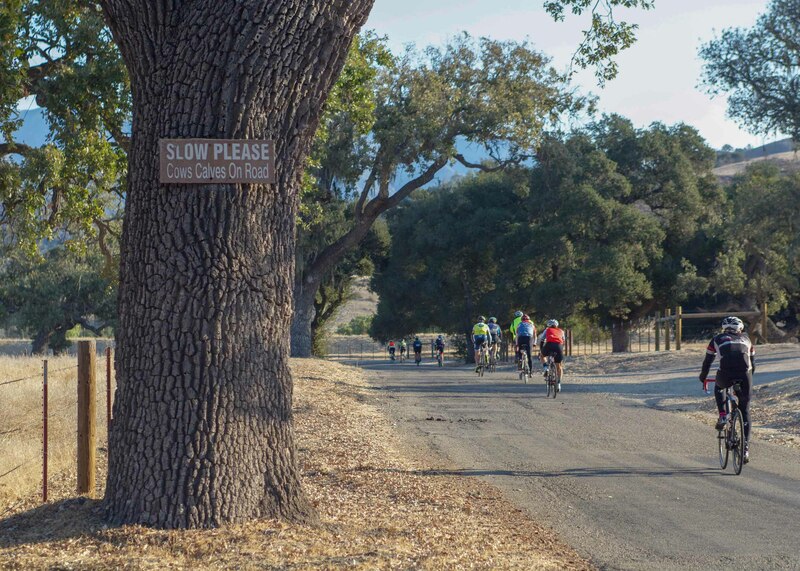 We opt to ride the 42-mile Fig Loop rather than the 95-mile Fig Epic; but with 5,200 feet of climbing this shorter option is no cop-out. Before long, the rolling road reaches the base of Figueroa Mountain. 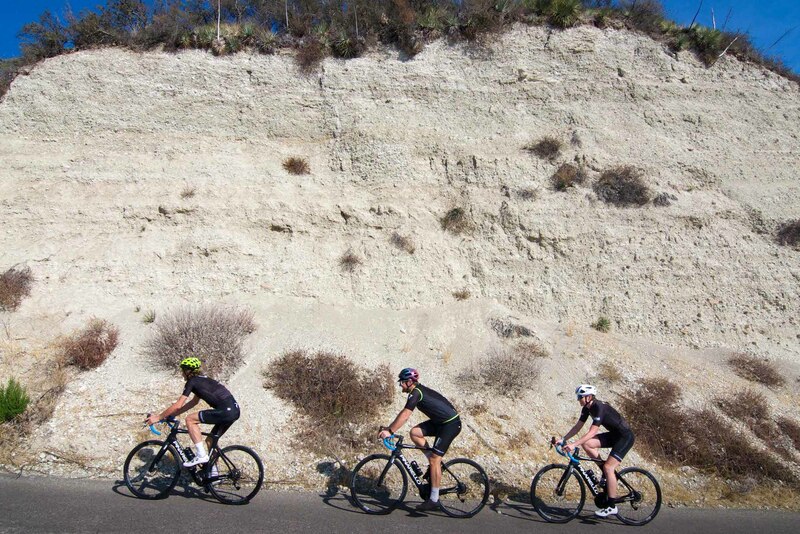 At almost 10 miles long and with an average grade over 6 percent, this is a relentless climb. Just when you think you’re at the top, a blind switchback gives way to another like a deceptively winding line on a roller-coaster ride. As the climbing continues and the temperature rises on the exposed grades, riders strip off warmers and vests that were so necessary less than an hour ago. On reaching the summit, we get the reward for our efforts with a sweeping vista over the Santa Ynez Valley to the ocean. After a bone-shaking descent and a fast, flat section, we arrive back at the start for some much-needed tacos and pints. 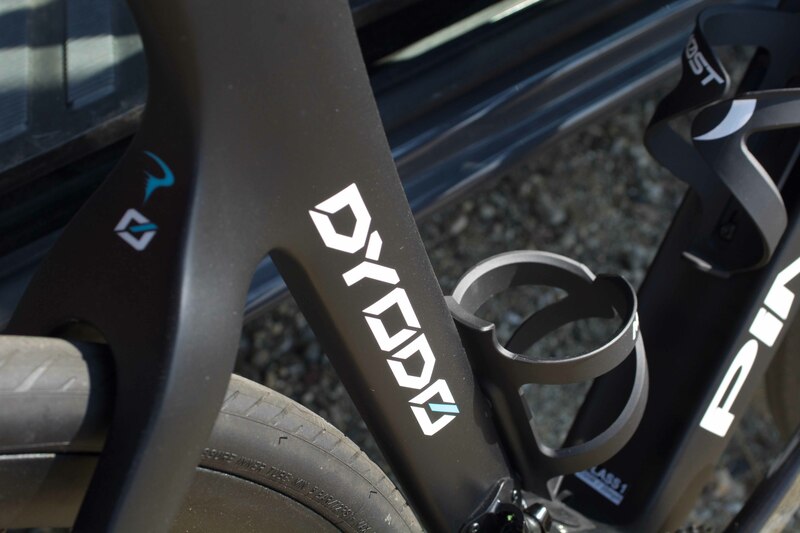 That’s where we meet up with Charlie and Todd from Pinarello, who have brought along a few of the new Dyodos to demo. We decide that Fig Mountain is the perfect place to take the e-bikes, so we head back for our second big climb of the day—now with some assistance! Reaching the base of the mountain, Charlie and Todd, joined by their friend Carrie, engage the motors on their e-bikes and ascend with smiles instead of the grimaces you might expect from riders on their second go-round of the day. Enjoying themselves much more this time, they take in the views they failed to notice while suffering up the climb in the morning. There are plenty of people for whom e-bikes are opening up new opportunities to get on the road–they’re an experience that anyone can enjoy. “It’s just fun,” says Charlie, summing up the Dyodo’s raison d’être. After flying up a gravel section of Fig Mountain on the Dyodo, the same section that we struggled up a few hours ago, there’s no way that fun can be denied.